It’s time to take a look back at the most interesting and important cameras of 2013. 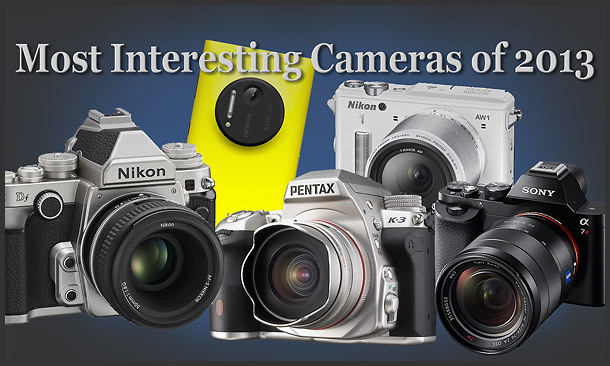 These aren’t necessarily the best or the most popular cameras. Rather, they’re cameras that inspire us and offer photographers new potential – they change how we take pictures, how we share pictures and in some way, they move photography forward. It might be a new feature, a new design concept, increased performance, or maybe they just make us more excited to take pictures. Regardless, in some way, each of these cameras made photography in 2013 more interesting and exciting. This was a tough list to make and I redid it a bunch of times, adding and removing cameras until I felt it was just right. Then I added one more to make eleven. Whoops. The cameras are listed in order of price, for lack of a better method. No doubt, there will be readers who disagree with my camera picks. If you think I neglected an important camera or you think one of the cameras on the list shouldn’t be here, by all means – leave a comment and tell us why. The more comments there are and the deeper the discussion, the more useful this list will be. The biggest challenge to the traditional camera is the Smart Phone. Camera phone image quality has reached a level where most people are happy, and the convenience and sharing options can’t be beat. 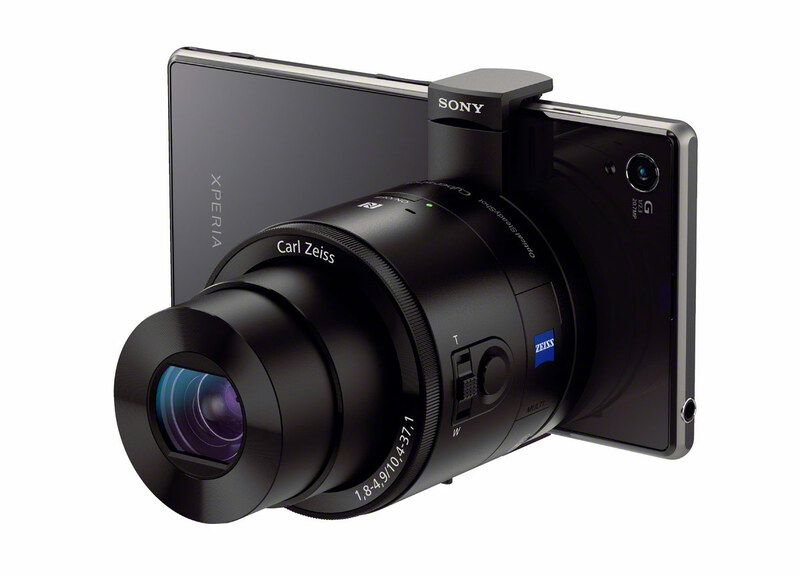 Sony’s answer to the camera phone was to make a better camera that attaches to your phone and works with it. The QX cameras are actually self-contained units with their own sensor, zoom lens and controls. Built-in Wi-Fi connects the QX camera to your phone and once it’s connected, it’s pretty much just like taking pictures with the phone – except you’ve got a much better sensor, a real optical zoom lens, and dedicated camera controls. I’m an unrepentant camera snob and normally wouldn’t include a Smart Phone in a list of important cameras. However, the Nokia Lumia 1020 Windows phone made such an impact this year it demanded to be included. What sets the Lumia 1020 apart from other Smart Phone cameras is its 41-megapixel PureView sensor. It’s not about the number of pixels, either – I hope everyone knows better than that by now. 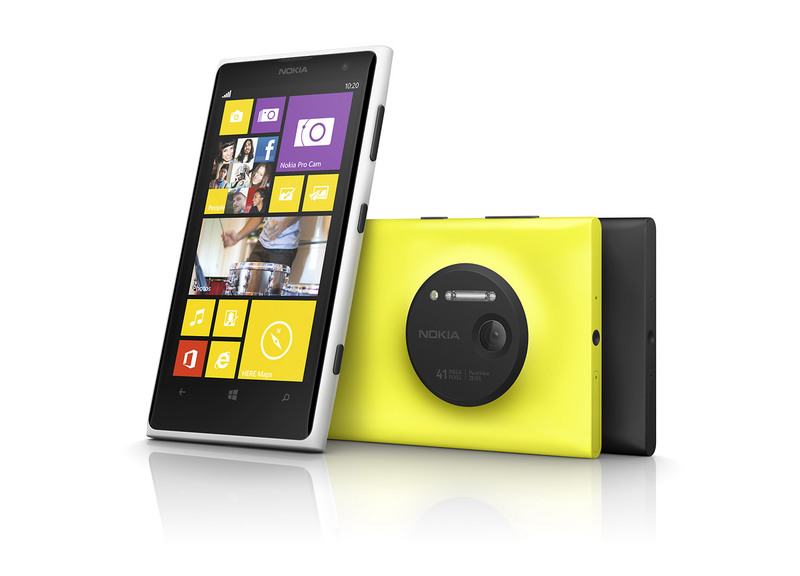 The Lumia 1020 has a big 1/1.5-inch sensor – much larger than the sensors in other popular Smart Phones. It’s even larger than the sensors in most high-end compact cameras. Although you can save full-size 38-megapixel images and there’s even RAW support in Lightroom, the Nokia Lumia 1020 is optimized for 5-megapixel images. The extra resolution is used for pixel “oversampling” to provide better image quality in low light; and for zooming. Because the standard 5-megapixel images are actually a small portion of the captured image, you can actually zoom in and out after the picture is taken. A real point-and-shoot camera with an actual optical zoom lens is still a better choice for serious picture taking. But if you’re going to use a Smart Phone to take pictures, the Nokia Lumia 1020’s out-of-the-box large sensor design is arguably the best. We’ve had superzoom bridge cameras forever and pocket superzooms have been around for a few years now, too. But 2013 was the first year we started to see high-performance compact cameras with long, fast zoom lenses. 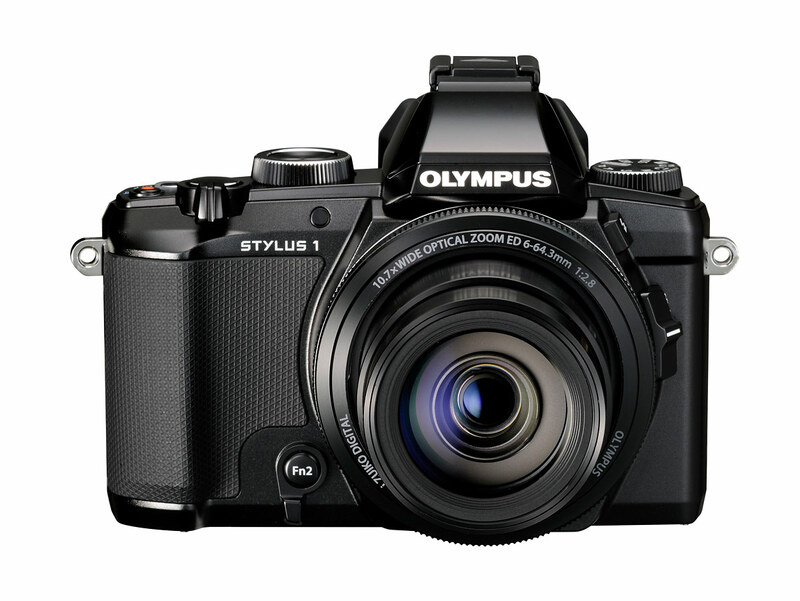 The Olympus Stylus 1 is one of those cameras. It has a large 1/1.7-inch CMOS sensor, a 28-200mm (equivalent) f/2.8 optical zoom lens and an electronic viewfinder. It’s like a miniature version of Olympus’s flagship interchangeable lens camera, the OM-D E-M1. In the past, you could choose a high-end compact camera with a short zoom lens; or a bulky superzoom bridge camera with a small sensor. Now, you can have both high-end performance and a long, fast-aperture zoom lens in one compact, travel-friendly camera. There’s a small elite group of no-compromise compact cameras with large sensors and fast, prime lenses. Unfortunately, most of them are too big for actually carrying in a pocket, and they’re all expensive. Enter the Ricoh GR. The Ricoh GR is the smallest and most affordable of largest-sensor compact camera. In fact, it’s the only one that sells for under $1000. It’s small enough to fit in a pants pocket but still has room for a DSLR-size 16-megapixel APS-C CMOS sensor with no anti-aliasing filter. The lens is a 28mm (equivalent) wide-angle with a fast f/2.8 maximum aperture. 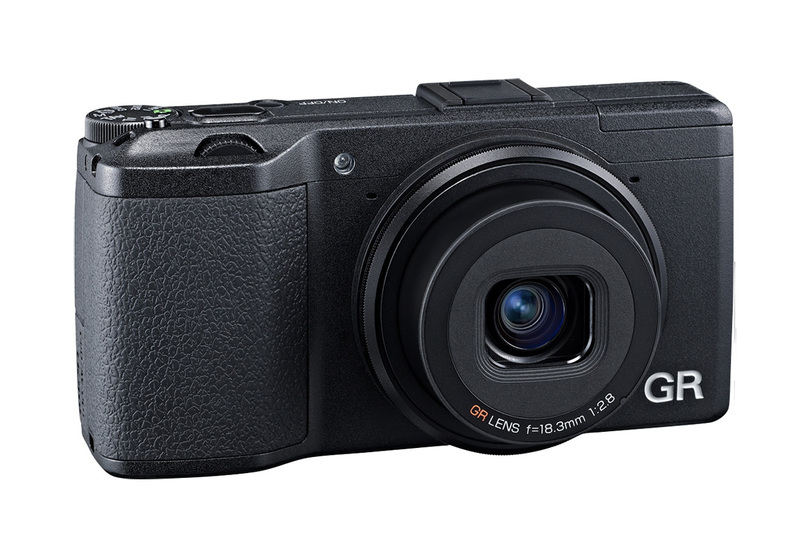 Even though you can drop it in a pocket, the Ricoh GR isn’t really a point-and-shoot. It has PASM manual shooting modes and it captures RAW as well as JPEG. Basically, it’s as serious as you want it to be. 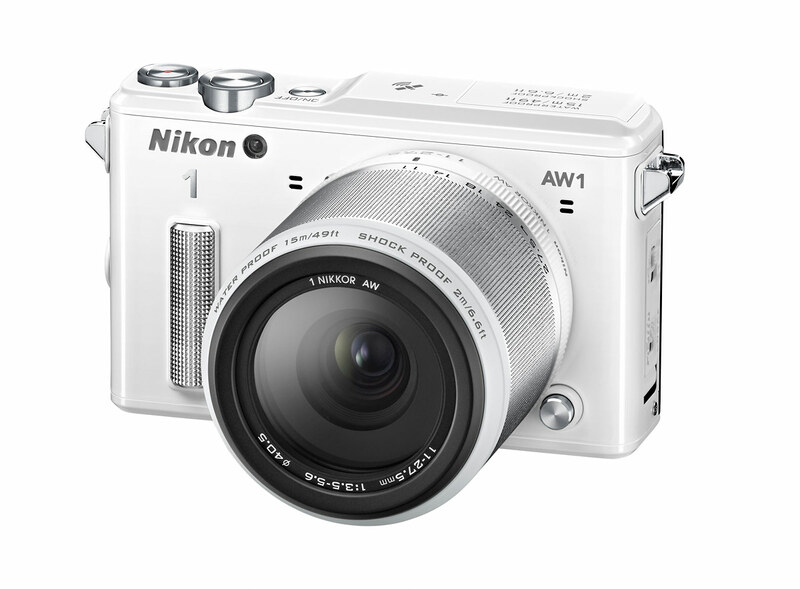 The Nikon 1 AW1 is the world’s first and only waterproof interchangeable lens digital camera. That’s all that really needs to be said. There’s a lot more to the AW1 than just being waterproof, though. The Nikon 1 mirrorless camera system has the best action performance of all the mirrorless cameras, with excellent auto focus and full-resolution RAW shooting as fast as 60 frames per second. Combine that with a truly waterproof, rugged design, and Nikon has set a new standard for outdoor, action sports cameras. At first glance Canon’s EOS 70D looks like a straightforward update to their popular EOS 60D digital SLR. However, it’s actually much more significant than it looks. 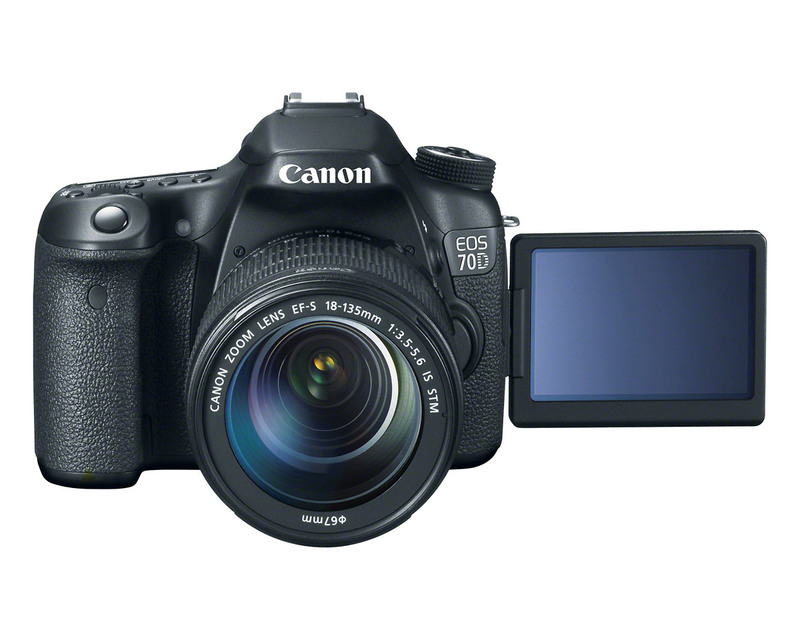 Canon introduced their brand new Dual Pixel CMOS AF system in the EOS 70D. Dual Pixel AF splits each pixel in two so the camera can use phase detect auto focus across most of the sensor in live video and movie mode. That gives the EOS 70D exceptional continuous auto focus for video, something most DSLRs don’t have. Canon also gave the EOS 70D built-in Wi-Fi so it’s easy to share photos and videos via your Smart Phone. Just use Canon’s free app to wirelessly transfer from the camera to your phone and then share just as you would a photo you took with your phone. You can even use the app as a wireless remote control, complete with live view display. Sony’s new RX10 is the ultimate all-in-one camera. Rather than giving it a huge zoom and small point-and-shoot sensor – the standard formula for bridge cameras – Sony gave the RX10 the 1-inch sensor from their RX100 II high-end pocket camera and a 24-200mm (equivalent) f/2.8 Carl Zeiss zoom lens. It’s the perfect solution for people who want pro-level photo and video performance without having to worry about lenses. The key to the RX10 is the long, fast f/2.8 zoom lens. The large f/2.8 aperture gives real depth-of-field control and compliments Sony’s 1-inch sensor for great low light performance. 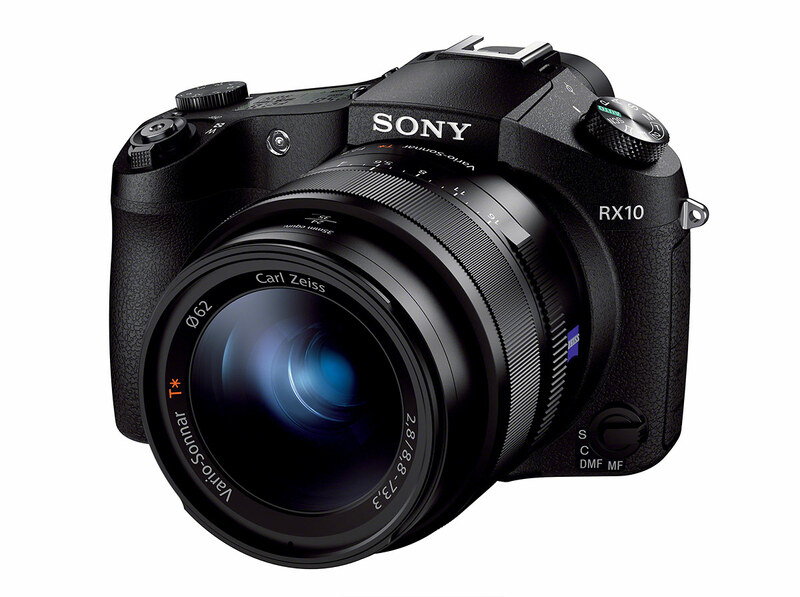 Sony designed the RX10 to be as good for video as still photos. It records full HD 60p video and there’s a built-in electronic viewfinder (EVF) you can use while recording, a tilting LCD display, power zoom, audio levels control and inputs for headphones and an external mic. The video auto focus even works great. Sony set a new standard for all-in-one cameras with the RX10. To find another camera with similar performance and versatility you have to turn to digital SLRs. And a comparable DSLR setup will cost you about three times the price of an RX10. 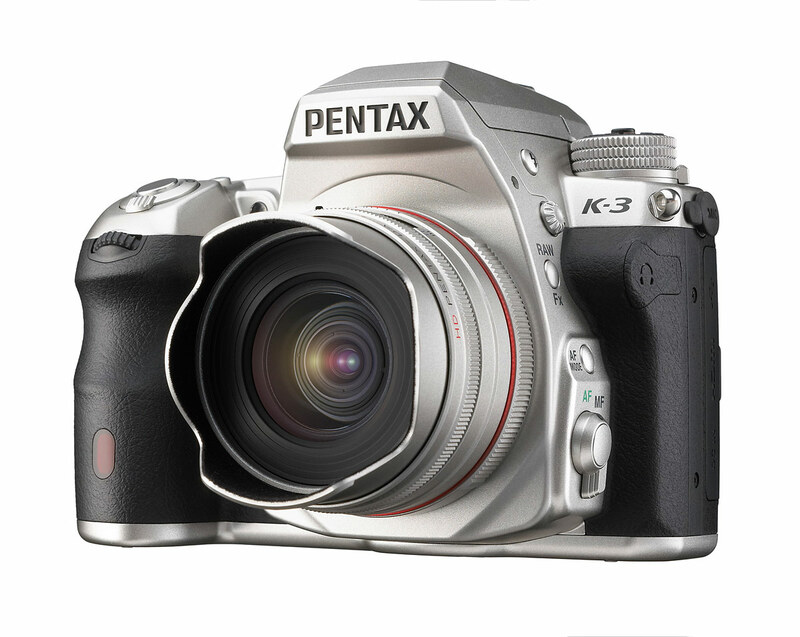 Pentax / Ricoh threw down hard in 2013 with their new flagship DSLR, the Pentax K-3. Spec-wise, it’s one of the best, if not the best, APS-C sensor DSLR on the market. That’s great news for Pentax users who may have been feeling a bit neglected. The K-3 is a nice step towards restoring faith in the Pentax brand and their new parent company, Ricoh. It’s not the spec sheet that makes the Pentax K-3 special, though. It’s the sensor. The K-3 has a 24-megapixel APS-C CMOS sensor with a selectable anti-aliasing filter (also called “low-pass filter”). The anti-aliasing filter is there to minimize moiré artifacting, which it does by slightly blurring the image before it reaches the sensor. So, removing the AA filter provides sharper images with better detail. What’s unique about the K-3 isn’t the lack on AA-filter, but rather, how Pentax accomplished it. Normally, it’s just a matter of removing the filter from the sensor. Pentax did that – but remember I said the filter is “selectable.” You can turn it on and off. Instead of using a traditional physical filter, Pentax developed what they call the “anti-aliasing simulator.” It applies microscopic vibrations to the sensor to blur the image slightly, “simulating” what a traditional AA filter does. If you want maximum resolution you turn it off. But if you’re recording video or shooting a subject where moiré is a problem, you leave it on. Right now, the Pentax K-3 is the only camera to have this feature. But it’s very cool and I can’t help wondering if and when it might start turning up in other cameras. Versatility is a nice feature. 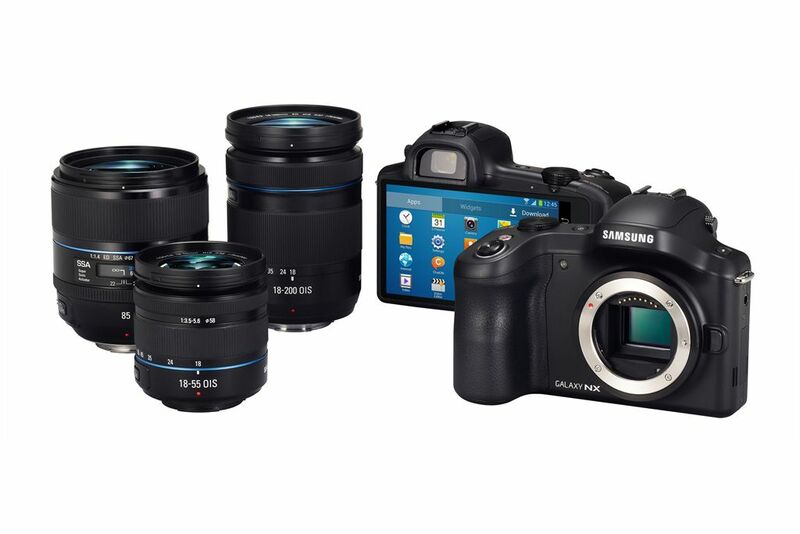 Samsung scores another first with the Galaxy NX – the world’s first fully-connected interchangeable lens mirrorless camera. We all know Samsung is a major player in the mobile world. So why not put some of that mobile wizardry into their cameras? That’s exactly what they’ve done with the Galaxy NX. Sony’s Alpha A7 and A7R full-frame mirrorless cameras were one of the biggest surprises for me this year – not because they happened, but because of how much sense they made after I used them. Previously, the idea of a full-frame mirrorless camera seemed silly to me. In my mind, mirrorless was about making the smallest possible camera and using a full-frame sensor would just make it bigger. However, after using both cameras I realized I had a very single-minded point-of-view about mirrorless. It doesn’t just have to be about the smallest possible camera. 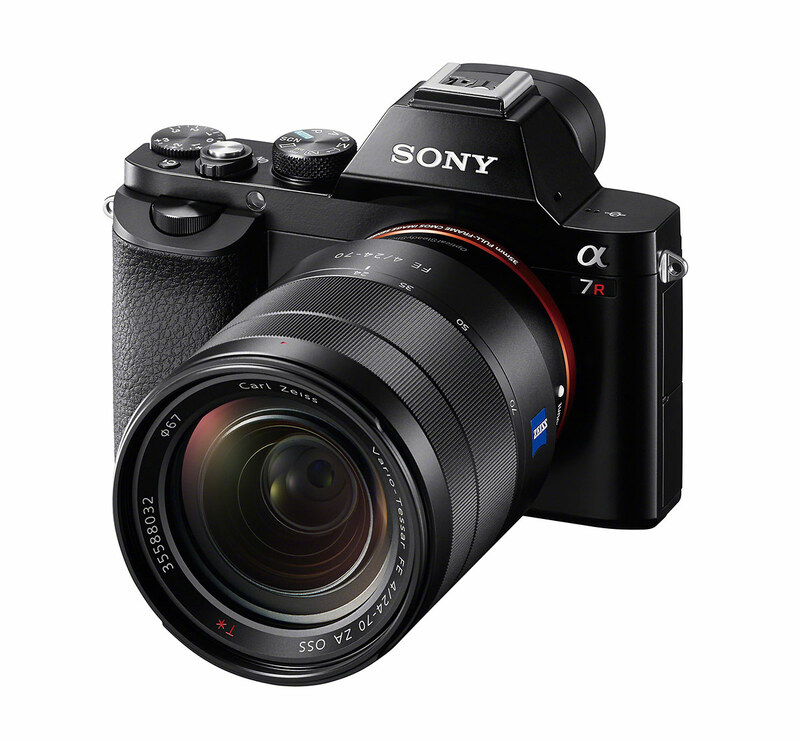 The 36-megapixel Sony Alpha A7R gives you the image quality of the very best DSLR in a nearly pocketable camera. It’s truly a game-changer. You no longer have to choose between maximum quality and convenience – you can have both with the A7R. I wanted to keep this list to ten cameras but I couldn’t stop thinking about the Nikon Df. So I’m making it number eleven of our top ten most interesting / important cameras of 2013. I can do that because I’m the boss and I make the rules. The Nikon Df is one of the most controversial cameras of 2013. The Df stands for “Digital Fusion” and the camera combines top shelf digital technology with traditional, analog camera styling and controls. Nikon took the 16-megapixel full-frame sensor from their flagship DSLR, the D4 (Nikon D4 video review), and put it in a new body with an obvious style nod to their old 35mm film SLRs. They even designed the lens mount to be compatible with older manual focus Nikkor lenses. Although the Df got a lot of attention when it was announced, I think Nikon may have missed the mark just a bit. If they’d priced it lower or given it a burst rate faster than just 5.5 frames per second, it could have been a huge seller. But it looks like they were nervous about it competing with their own D610 and D4 digital SLRs. 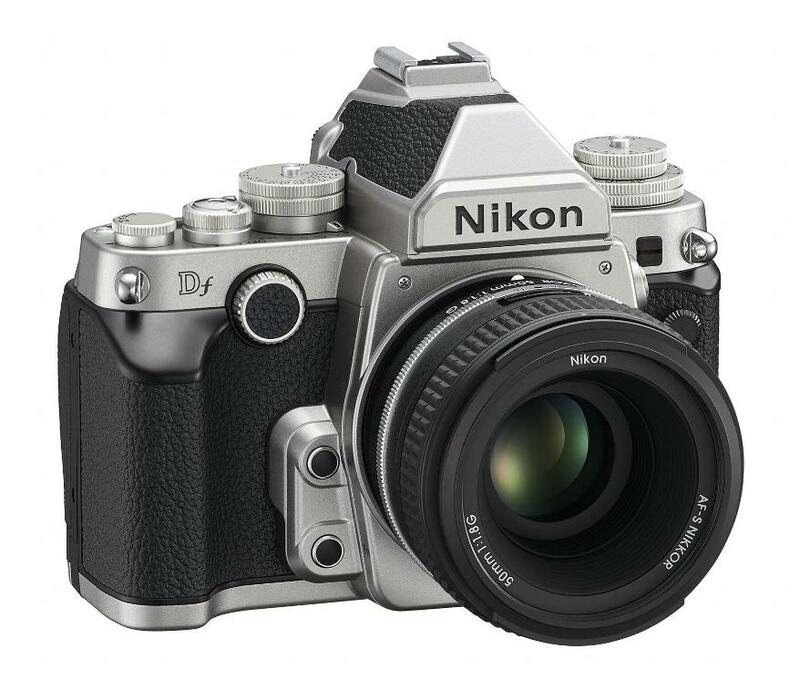 As it sits, the Df mainly appeals is to photographers who appreciate the throwback design, and older Nikon film camera owners who are sitting on a collection of old manual Nikkor lenses.